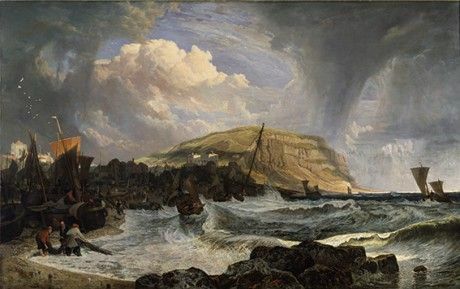 Coinciding with our major exhibition - The Power of the Sea (April 5 - July 6th) - the RWA is hosting an interdisciplinary one-day symposium in partnership with Leeds Metropolitan University and Oxford Brookes University. This symposium aims to explore the conceptualization, and the cultural and political significance of the seas around the British Isles within a broad framework of the arts. It will bring together and create dialogue between practising artists, curators, writers, academics and students from disciplines including visual arts, cultural theory, geography, history and literature, all with shared interests in the many meanings of the sea in the arts and beyond. The Symposium will cover the following topics: 'Literatures of the Sea', 'Experimental Seascapes', â Maritime Communities', âContemporary Sea Travel', 'Theorising Maritime Space', and 'Ships, Art, and Archives'. Keynote speaker: Professor John Mack (University of East Anglia, author of The Sea: A Cultural History) The Power of the Sea exhibition explores the aesthetic sensibilities of the sea, celebrating its qualities through observed, naturally occurring phenomena, as well as drawing upon the rich cultural legacy of narratives, metaphors and allegories with which it is associated. Work by leading contemporary artists (including Maggi Hambling, Hughie O'Donoghue, Kurt Jackson, and Norman Ackroyd) will be shown alongside that of 19th and 20thc century British painters (including Turner, Constable, John Brett and Paul Nash), a fertile period of artistic expression embracing Romanticism, naturalism and abstraction.